Watch your usage: Holiday lights are beautiful, but leaving them on overnight wastes energy and increases electricity costs. Lower your bill this winter and cut energy waste by turning off your holiday lights before you tuck in for the night. Once the holiday season has ended, pack up your lights until next winter to save even more. If you’re spending the holidays away from home: Make sure to turn off your holiday lights for vacations and extended visits away from your home. You’ll save on your energy bill and cut energy waste while you travel. Upgrade to LED lighting: When it’s time to replace holiday lighting, choose LED lights, which waste less energy, exert less heat and more light, and help lower your electric bill. Use a timer: Do you forget to turn off your holiday lights when you leave the house? Purchase and pre-set a timer to control your lights at the push of a button. Keep it simple: Never plug too many strands of lights in one outlet. Spread the lights evenly with extension cords and outlets around the exterior of your house to prevent fires and blown breakers. Safety first: Test your holiday lights before you hang them on your home. When you are ready to dangle the holiday lights, make sure your power is off to keep you safe and sound this holiday season. Clip on and clip off: Skip the nails and screws that will leave marks on your roof. Use clips or staples instead to put up your lights. Not only are they easy to use, it will make taking down your lights at the end of the holiday season much easier! Don’t mix and match: Once you make the switch to LEDs, don’t mix your LEDs with your old string of lights. Your LEDs will have a longer life, and you’ll avoid potential safety risks, keeping you and your family safe during the holidays. Use the right lights: Make sure all lighted outdoor decorations are UL approved and marked for outdoor use. Light the right things: Don’t use electrical ornaments or lights on artificial trees with metallic leaves. Stay safe outdoors: Don’t overload extension cords or run them through puddles of water or snow. Outdoor lighting should have insulated electrical cords. Out with the old – In with the new: Consider purchasing LED holiday lights this winter. Compared to incandescent lights, LED holiday lights waste less energy, exert less heat and more light, and help lower your electric bill. And now, LEDs come in more holiday shapes. Not only do LEDs cut energy waste, they look beautiful too! LEDs come in indoor and outdoor varieties, so make sure to pick the right selection for your holiday needs. 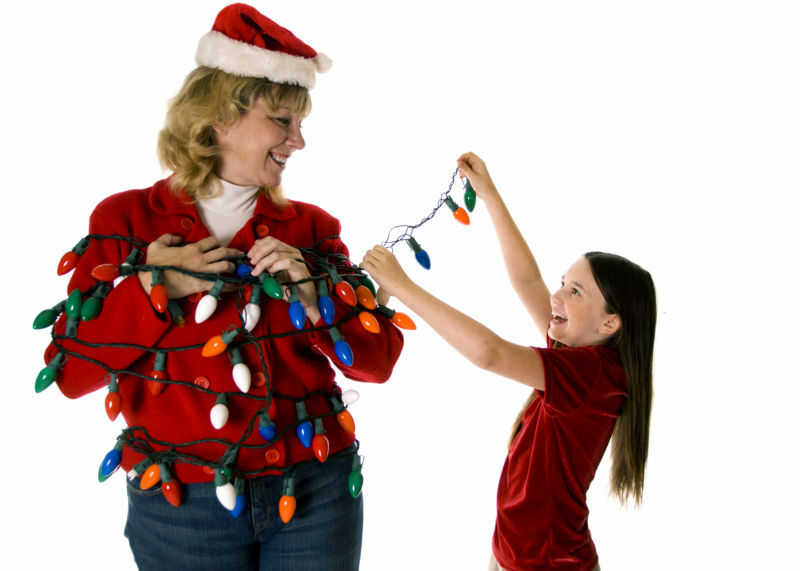 Make new family traditions: Stressed about the cost and mess of holiday decorating? To make life a little easier (and more energy efficient) consider purchasing a small fibre-optic, pre-lit tree this year. The LEDs produce little to no heat and last for several years, giving you a safe, beautiful addition to your holiday festivities while cutting energy waste in your home. For more information about keeping the holidays bright and safe, visit the Electrical Safety Foundation International’s (ESFI) website.